Field Tested brings you the best tips, tactics, stories, experience and strategies that encourage you to make educated and informed planning and product decisions for you and your business. Each episode delivers relatable, easy to consume advice on all aspects of building sustainable and reliable roofing and waterproofing business success. From Bucket to Roof. Are you sick of cheap products and materials that consistently fail? How about screening phone calls from angry customers? Maybe you’re frustrated with big box manufacturers letting customer service issues get lost in the abyss? And you’re most likely spent from being liable for big budget projects you’ve been spending your own money to fix. Guess what? You’re not alone. Host Jesse Martinson found himself in this same situation—liable for thousands of dollars worth of failed projects and no one to help. He found the need for reliability was fierce, clients and customers needed consistency, and nothing on the market was meeting that demand so he created a product that would, SureCoat. Now he’s taking his 40+ years in the industry, the business he built as a contractor, the products he’s formulated and developed, his knowledge from the front lines and packaging it up right here for you. If you’re looking to build a strong, sustainable business, extend the life of your roofing with a superior product, zero proven performance warranty claims, you’re in the right place. Field Tested takes proven strategies straight from the field and right to your roof. Won’t you join us up top? You’ve Waited Too Long to Hear This! 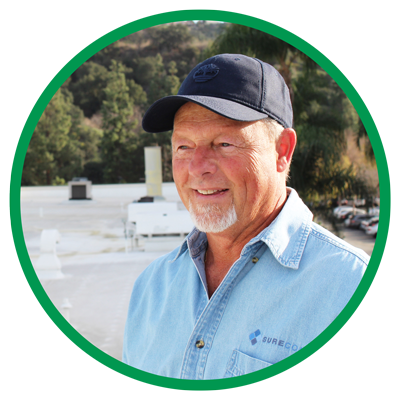 Subscribe Now to Discover Why Listeners Turn Only to Jesse Martinson and the Field Tested Podcast for All Things Roofing and Waterproofing. Thanks for listening! Enjoy your stay and come back again.